San Fransisco-headquartered mobile data and analytics provider, App Annie, has released a full-fledged report on how mobile transformation will be for the year of 2019. 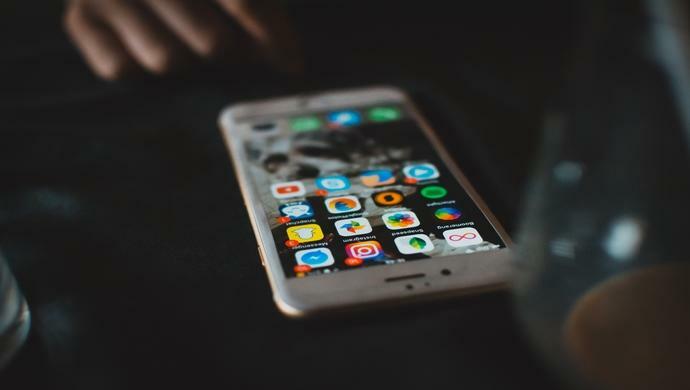 According to App Annie, app stores consumption will surpass more than US$120 billion in 2019, making mobile penetration the key for businesses to thrive. App Annie’s report says there were a total of 194 billion apps downloaded in 2018 — with China occupying 50 per cent of the downloads — amassing a US$101 billion spending in app stores. Apps other than games accounted for 65 per cent of the global downloads, a number that has been consistent since 2016. These numbers account for the three hours per day mobile usage in average. As for the spending on app purchase that includes paid downloads (in-app purchases and in-app subscriptions) there was an increase for 75 per cent since 2016. 74 per cent of these purchases were in gaming. Non-gaming apps accounted for 26 per cent this year, showing an 18 per cent increase for the last two years. Time spent on apps focussed on five categories for the fastest growing global market share — an indicator of growing faster than the overall market — these were Video Players & Editors, Entertainment, Photography, Tools and Finance respectively. Social and Communications apps made up 50 per cent of total time spent globally in apps in 2018, followed by Video Players and Editors at 15 per cent and Games at 10 per cent. In Indonesia, the report said, mobile users spent over 4 hours a day in apps — 17 per cent of users’ entire day. In mature markets like the US and Canada, the average user spent nearly 3 hours a day on mobile apps in 2018. In the report, App Annie suggested the increase in mobile maturity, meaning the markets has evolved through mobiles into three stages: Experimentation, Adoption, and Ubiquity phase. New mobile device owners fall into the first stage, followed by the forming of a mobile habits and eventually settling down into go-to apps. This results in a climb in engagement rate, known as then adoption phase. Engagement then intensifies and enters spending, called the Ubiquity phase. The report shared that over 50 per cent of the world’s population — 3.9 billion people — are estimated to be online in 2018, and 96 per cent of the world’s population lives within range of a mobile network. In 2018, there were over 4 billion mobile devices — inclusive of tablets and phones — with many people in mature markets having multiple devices. Emerging markets such as India and the Philippines are mobile-first with consumers using mobile as their primary access point to the internet. Moreover, 80 per cent of the companies that have gone public on NYSE and NASDAQ in 2018 had a mobile focus, either for a primary point of interaction with the target market or a secondary presence. These companies contributed to over 95 per cent of aggregate valuations (USD) in 2018. The total consumer spend recorded in the reports further highlighted the technological race between US and China in mobile as it accounted for more than half of total consumer spend in the top 300 parent companies in 2018. China came out ahead with companies contributing to 32 per cent of total consumer spend globally accounting for US$19.6 billion. The top 5 parent companies for global consumer spend in 2018 were all gaming companies, which are Tencent, NetEase, Activision Blizzard, BANDAI NAMCO, and Netmarble. As for mobile advertising, the ad spend had 12 per cent increase in 2018 from the previous year and 60 per cent more will leverage on in-app advertising in 2019. “Mobile is no longer an add-on channel—it is the engine fueling digital transformation,” said Theodore Krantz, CEO, App Annie. Global consumer spend in non-gaming apps grew 120 per cent from 2016, fueled by in-app subscriptions. App Annie concluded that mobile is “non-negotiable” for Gen Z, short for aged 16 to 24 Generation Z. This age group apparently spent 20 per cent more time in apps than the rest of the population. Gen Z used mobile across nearly all aspects of life, from communication, socializing, shopping, banking, and others. However, this didn’t apply for gaming, in which those 25 years and older accessed them 50 per cent more often. In 2018, games accounted for 74 per cent of consumer spend in the app stores. Mobile games was the fastest growing sector of the overall gaming market, beating consoles, PC/Mac, and handheld gaming. Mobile gaming will reach 60 per cent market share of consumer spend in 2019, up 35 percentage points from 2013. China, the US, and Japan are the top markets for mobile gaming consumer spend and accounted for 75 per cent of spend in 2018. New height of popularity was reached by the battle royal gaming category, notably PUBG Mobile, Fortnite, Rules of Survival, and Free Fire. Simple gameplay mechanics that makes for a hyper-casual gaming category also dominated the top downloads charts with Voodoo, Helix Jump, and Hole.io. All in all, mobile games are expected to reach 60% market share in game spend across all platforms in 2019. App Annie then continued to break down mobile penetration in sectors ranging from gaming, retail, food delivery and restaurant, banking and finance, video streaming, social networking and messaging, travel, dating, and fitness apps in the full report here. In 2019, worldwide app store consumer spend will grow five times as fast as the overall global economy, surpassing US$120 billion. Consumer spend in mobile gaming will reach 60 per cent market share among all gaming platforms: PC/Mac, console, handheld and mobile. With the aftermath of China’s game licensing freeze continuing into 2019, Chinese firms will push harder for international expansion and mergers and acquisitions could become more common. In 2019, 10 minutes of every hour spent consuming media across TV and internet will come from individuals streaming video on mobile. Global consumer spend in Entertainment apps will grow 46 per cent, fueled largely from in-app subscriptions in video streaming apps. In 2019, 60 per cent more apps will monetise through in-app ads. This will increase competition among advertisers. With more consumers than ever before using mobile, and more time being spent on these devices, it is expected for advertising dollars to follow. The post Mobile is the US$120B future of tech business, report by App Annie appeared first on e27.